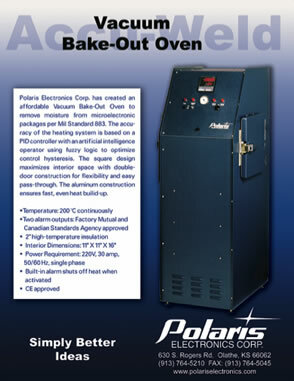 Polaris Electronics Corp. has created an affordable Vacuum Bake-Out Oven to remove moisture from microelectronic packages per Mil Standard 883. 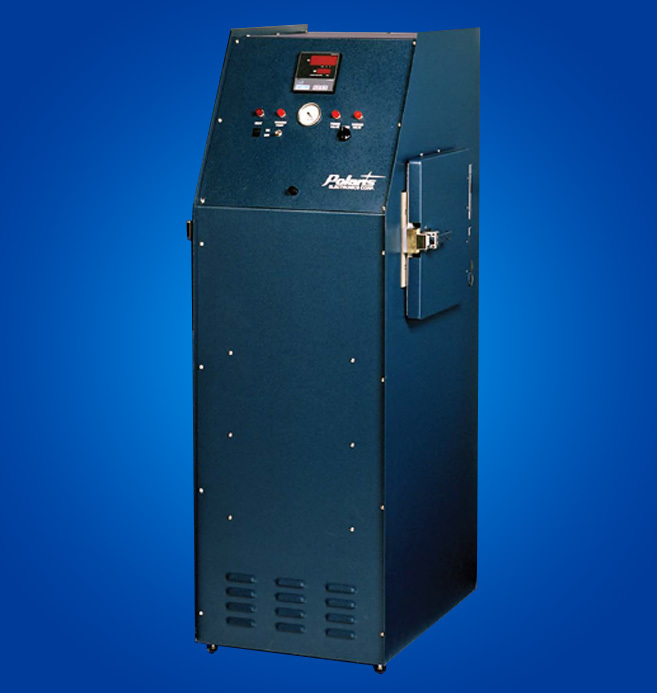 The accuracy of the heating system is based on a PIO controller with an artificial intelligence operator using fuzzy logic to optimize control hysteresis. The square design maximizes interior space with double­-door construction for flexibility and easy pass-through. The aluminum construction ensures fast, even heat build-up.